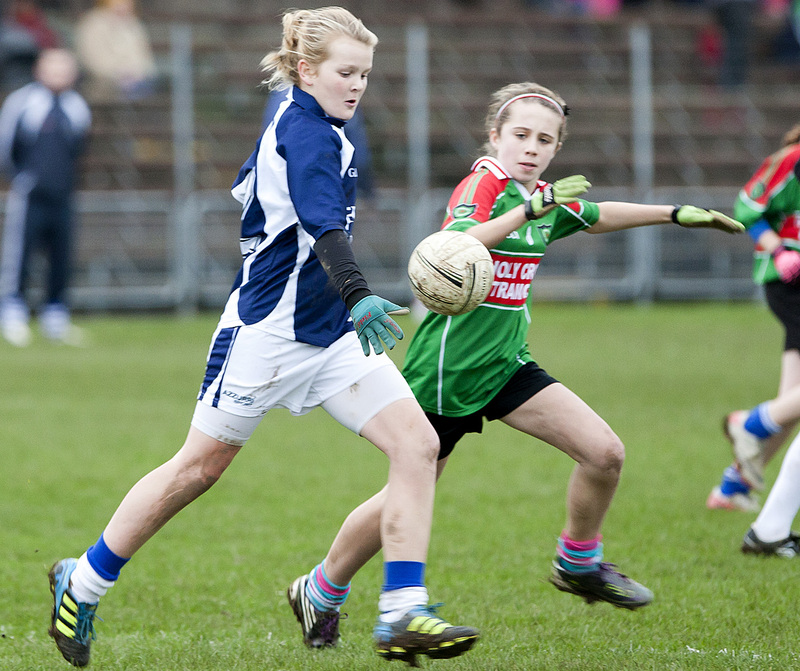 In March 2008, an announcement over the intercom informing pupils of 5th and 6thth classes of Our Lady of Mercy School that Gaelic Football training was to start in the school resulted in approximately 80 enthusiastic girls turning up for the first training session, much to the shock and delight of the three coaches Gill Casey, Mary O’Connor and Annette Kehoe. Equipped with only cones and footballs we began teaching the skills in a small field of the Mercy Secondary School. With no goalposts we spent most afterschool training sessions improving fitness levels, passing skills and having lots of fun. 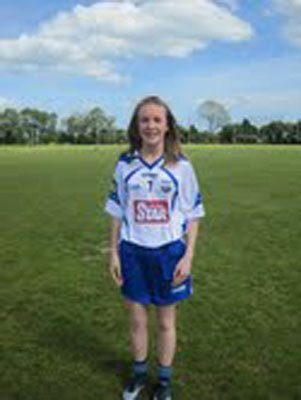 We registered our interest in competing in the Cumann na mBunscoil inter schools league. In September when the fixture list arrived we were more than a little shocked as we had only a few weeks to prepare for our first match and as yet we hadn’t even trained on a football pitch! The De La Salle Club came to our rescue with the use of their grounds in Cleaboy. It was certainly an eye opener for the girls when they saw the size of the pitch they would be playing on. We competed in Roinn C and surprised ourselves by reaching the final which was held in Walsh Park. The excitement this created in the school was magic, with all the classes making banners and flags. The team were very nervous but were thrilled to be given the home team dressing room and to have the opportunity to run out through the tunnel – they could easily have been in Croke Park. We were unfortunate to lose to Rathgormack, the deserved win- ners, but were thrilled to be runners up in our first year. Availing of the Tesco tokens scheme we acquired goalposts (which made our little filed more like a football pitch), footballs and vests. These certainly helped to improve coaching and training sessions and now at the end of each school year we have a football blitz which has become a highlight for all the girls who participate. In 2009 we were promoted to Roinn A and again reached the final to be beaten by Holy Cross by one point. In 2010 we also competed in the Mini Sevens for the first time and reached the final. This year, 2011, we introduced Camogie to the school for the first time under the coaching team of Deidre Kinsella, Emma Tallon (who also coached football) and Annette Kehoe. We competed in the inter schools league and enjoyed two terms of training and matches. We were especially proud this year to have Rebecca Kinsella selected to play in the Primary football game in Páirc Uí Caoimh and AIsling Madigan and Caoimhe Drohan selected to play with the Waterford County Camogie Team. Having these sports as an after school activity for pupils has had a very positive effect on all. It helps with fitness levels, relationships, and social skills of the girls involved and has brought a new positive dimension to school life.